Egypt Travel representative will meet & assist you at Cairo International Airport. Then you will be transferred by a wheelchair accessible private air-conditioned vehicle to Le Meridien Pyramids Hotel a 5 star hotel in Cairo, provided with rooms designed for travelers in wheelchairs. Overnight in Cairo. Breakfast at your hotel in Cairo and then met by your personal guide who will accompany you to Giza Plateau to visit one of the seven wonders of the ancient world, the Great Pyramids of Cheops, Chefren and Mykerinus, famous Sphinx, varying between six-thousand and even thirteen-thousand years old ,and Valley temple facing the great statue. All places are wheelchair accessible. Lunch at a good quality restaurant. 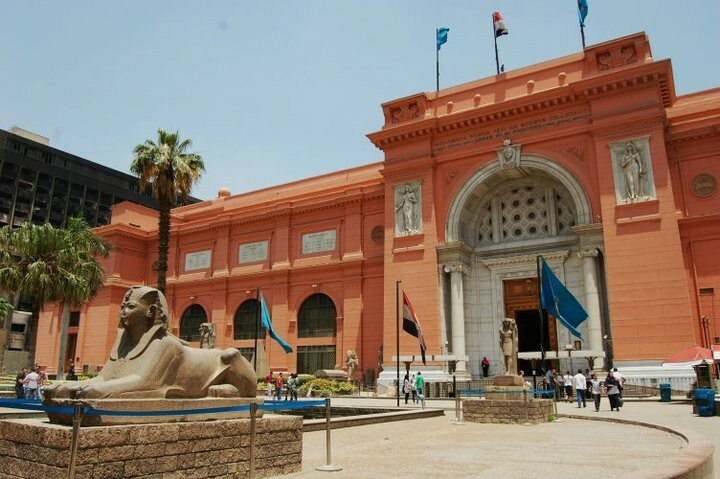 Then move onto the Egyptian Museum, well-paved place, where you can see the collection of Tutankhamen among other splendid pharaonic artifacts. Then transfer to see Khan El Khalili Bazaar. Overnight in Cairo. After Breakfast, check out from your hotel in Cairo, then, you will be transferred to Cairo Airport for departure to Luxor where you will be met and assisted, then taken by a wheelchair accessible air-conditioned vehicle to board your 5 star deluxe cruise boat for wheelchair (disabled) travelers, Amarco Nile Cruise. After lunch on board, enjoy a visit to the impressive Karnak and Luxor Temples. Dinner and overnight on board. Enjoy a day’s sightseeing in Aswan. Start with the High Dam and the Unfinished Obelisk. Sail around Elephantine Island by a motor boat. Dinner and overnight on board. Transfer to Aswan airport to return to Cairo, where you'll be met and assisted at the airport and taken to your hotel. Overnight in Cairo. After enjoying a beautiful breakfast, you will be transferred by a wheelchair accessible modern vehicle to Cairo International Airport for final departure. Accommodation for 4 nights on 5deluxe Nile cruise full board. All Sightseeing tours on your Nile Cruise (Private Guided Tours). Tour to the High Dam, Unfinished Obelisk in Aswan. All transfers by an adapted air-conditioned vehicle.